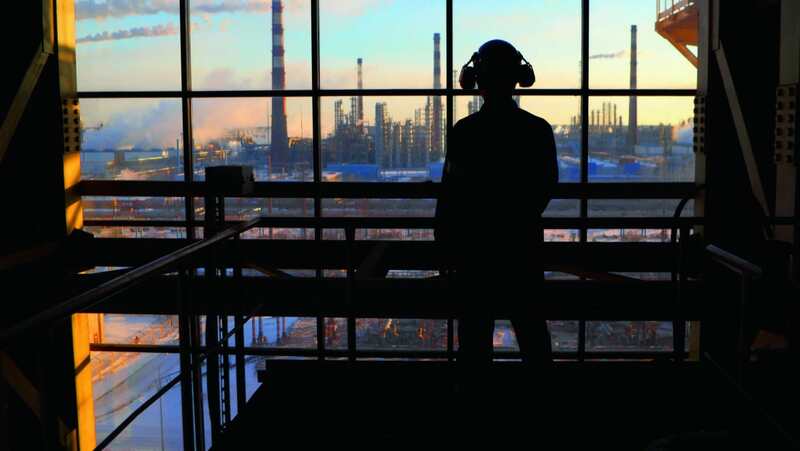 The following article looks at completing workplace noise analysis, the benefit for operators, and means of selecting the most beneficial study for the operator – depth. 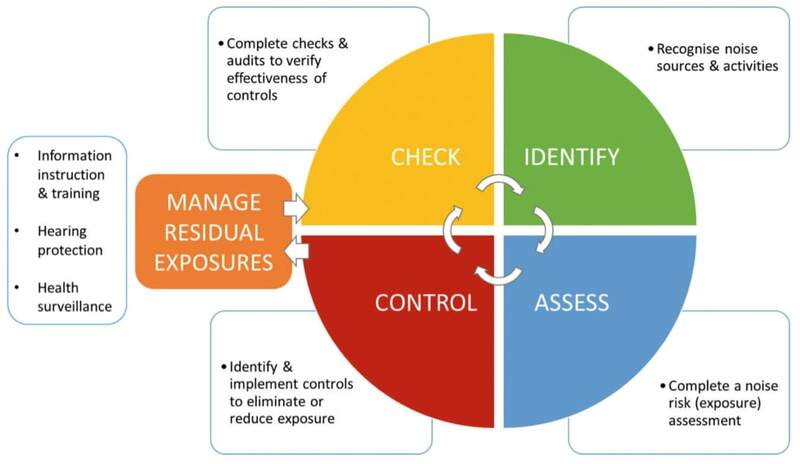 Noise management, like any hazard, can be managed effectively by following a ‘standard risk management cycle’. 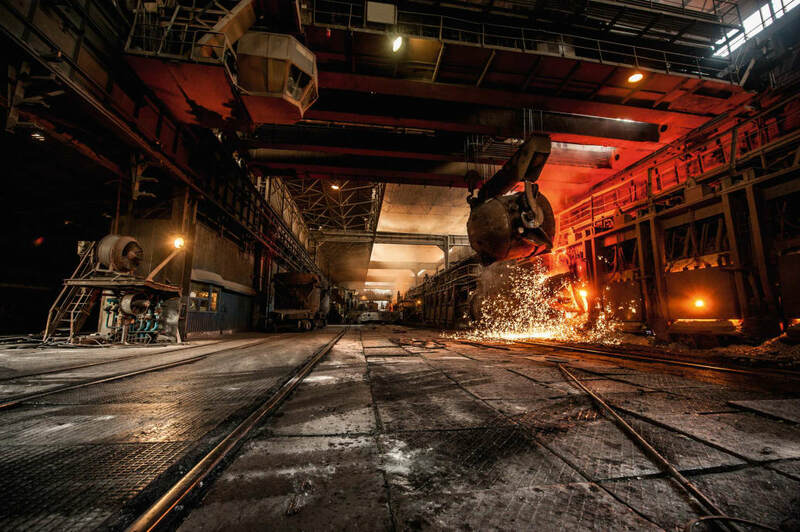 Each of the four key elements are critical and build upon the preceding element; effectively controlling noise exposures is heavily reliant upon having an adequate assessment. Figure 1 presents a typical noise management cycle, which can be applied to managing noise in accordance with regulations across the world. A good workplace noise analysis is the cornerstone of effective noise management. Unless you know and understand your workplace’s noise environment any noise management will be guesswork. With an effective assessment in place it is possible to target noise management activities to provide the greatest benefit and comply with regulations while avoiding unnecessary business costs. Extensive research has shown that there is a clear dose relationship between the amount of energy entering the ear and the likelihood and extent of noise induced hearing loss. While different countries have different regulatory criteria and calculation methods they all involve the estimate of noise dose. The best practice is normally to adopt European/British standards for workplace noise, as this is seen as best practice. 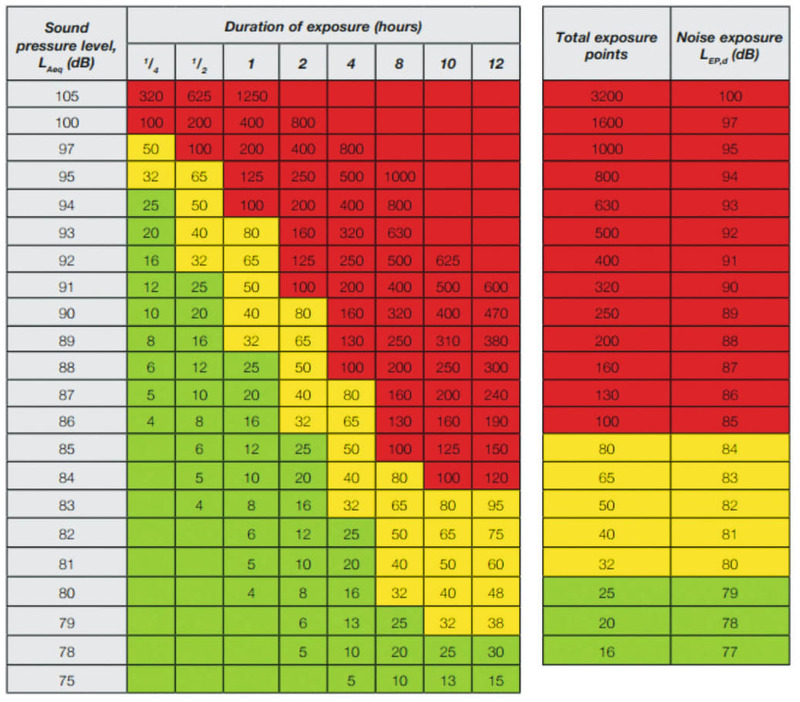 In the UK and across Europe, noise exposure is expressed in terms of a daily personal exposure level or LEP,d. The LEP,d, calculated using the equation below, represents the constant noise level which would need to be present for eight hours to have the same acoustic energy as the noise to which the worker is exposed. Research has shown that the risk of noise induced hearing loss becomes statistically significant as daily noise exposures exceed 80 dB. Are there any parts of the workplace where personnel have to shout or raise their voice to be heard? Are there areas where hearing protection is being worn? Have any personnel reported developing noise induced hearing loss? If so, what roles did they hold? These simple questions should ensure there is adequate knowledge of the worksite to identify tasks, equipment and roles to be included within a workplace assessment. The last point is critical – the risk assessment in itself does nothing to manage noise, it simply informs the level of risk, what regulatory duties apply and where management actions needs to be taken. This information will provide an insight into the complexity of the workplace. If there are multiple trades and work or if you have areas / activities with very high noise level (>100 dBA) then it is likely you will need very clear and specific management of these areas / activities. It is worthwhile checking what noise management systems are in place. Does the site have a noise management policy and procedure? Taking the time to check what policies and procedures specify and what is actually in place can often in itself help improve noise management; overlooked requirements can be reinstated, while overly onerous requirements can be reviewed, and where appropriate, removed from the procedure(s). A risk assessment has to be ‘suitable and sufficient’. There is, however, no ‘one-size-fits-all’ risk assessment. The optimal approach for a high risk and complex site may involve substantial calculation and even modelling, while a straightforward and low risk site may only require a very basic screening approach. Quick screening assessments are appropriate to low noise, low complexity sites. In its simplest form a screening or risk assessment can be completed subjectively. If personnel need to raise their voice when talking to people two metres away, then noise levels are likely to be high enough that a formal risk assessment should be undertaken. If personnel can communicate without raising their voice then there is minimal risk of noise induced hearing loss, instead any noise management should focus on ensuring a good working environment (for example a laboratory worker should have an environment which allows concentration) and reducing exposure where this is readily achievable (in the UK there is an overriding due to minimise personnel exposure so far as is reasonably practicable, irrespective of whether any action values have been exceeded). As an example, take a machinist operating a heavy duty sewing machine all day. While noise levels change over the course of the day – depending upon how many machines are running, the material being sewn and the speed of machine – operators are able to talk and communicate clearly. No further exposure assessment is required. Simple exposure assessments are suited to stable, straightforward workplaces. Where personnel have clearly defined roles and are routinely engaged in the same tasks day after day, a simple exposure assessment is likely to suffice. Where operators have a fixed work position it is simple task to take a noise level measurement at the operator position. The measurement should be made at head height and close the person’s ear. Estimate how much time the person spends at each work location. While this may be possible through observation is it recommended that this is verified through discussion with personnel performing the role and/or their supervisors. With noise levels and exposure times you can now calculate the exposure from each task (or partial exposure). Once each partial exposure is known they need to be added logarithmically to determine their daily exposure total or LEP,d. With computers being readily accessible it is typically easier to use a calculation spreadsheet to assess personnel exposures. Calculation tools are available from a number of reliable sources, including the UK’s HSE website. 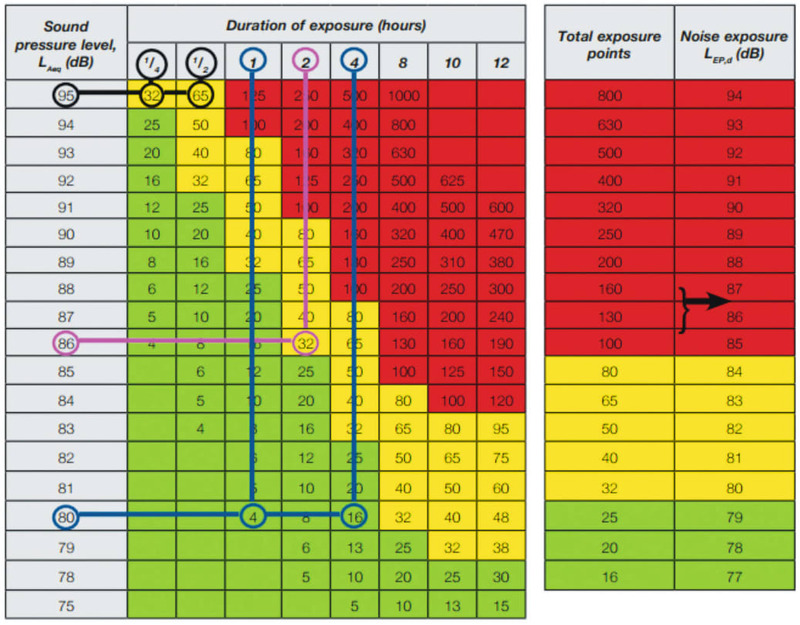 Figure 3 shows the HSE noise exposure calculation, which can be used to calculate a person’s noise exposure from up to eight tasks. Where computer access is difficult the HSE’s ready reckoner can be used to estimate a person’s noise exposure. The ready reckoner employs an ‘exposure points’ system to allow exposures to be tallied. Spends five hours working where noise levels are 80 dB; two hours at a machine for which the manufacturer has declared 86 dB at the operator position (and a spot check confirms this); and 45 minutes on a task where noise measurements have shown 95 dB to be typical. Where the workplace is complex with dozens of noise sources, multiple trade groups and variable working practices, the use of a computer based model is likely to be needed. Computer based tools make it possible for very complicated work patterns, with many dozens of tasks, to be assessed. Computer based solutions can include many associated tools to aid with noise management. The inclusion of maps clearly showing noise measurement locations, for example, make updating the model with new noise level measurements taken at the same position. Noise level survey – the most basic survey. It only provides noise levels, so additional work / analysis is required to calculate personnel exposures (LEP,d) and to assess regulatory compliance. Noise mapping – noise measurements are used to generate equal noise level contours (Isopleths). Noise mapping helps visualise where noise is coming from and can be used to determine where hearing protection is required. Addition work / analysis is required to calculate personnel exposures. Noise exposure survey – assesses both noise levels and exposure times in order to determine personnel exposures. The results of the exposure assessment can inform future noise management. Noise exposure survey and noise management review – in addition to the exposure assessment the engineer assesses current noise management systems. A responsible assessor will provide a clear indication as to the current level of compliance as well as recommendations for improving noise management. This type of assessment makes the development of a noise action plan straightforward; review the recommendations and where they are technically feasible schedule them for implementation. Dosimetry – completion of dosimetry across selected trades. This can be used to verify the existing exposure assessment; a secondary benefit is that dosimetry can provide powerful training opportunity. Conducting debriefs with monitored personnel allows them to see the impact of their activities, recognise which areas/equipment has the greatest impact and promote the investigation of control measures. In noise control studies much more detailed surveys are undertaken, with the aim of identifying both engineering and organisational controls. Noise control studies typically begin by identifying the various noise sources impacting on an area and determining the relative amount of noise emitted by each source (sound power levels). Having identified the main sources of noise and how they are being generated and propagated, appropriate noise control measures can be specified. For example, where a wall mounted air conditioning unit is producing noise into adjoining accommodation through vibration transmission suitable anti- vibration mounts can be specified. Always bear in mind the purpose of the workplace assessment – it is to enable effective management. With this in mind, it is important to plan ahead and a clear understanding of the site and its operations will help ensure any resultant risk assessment is representative. Never underestimate the importance of assessing appropriately, and assess enough to achieve the goal of informing noise management. Make sure you understand your duties under the regulations and act upon the findings – failing to take action where it is clearly warranted may be deemed negligent. You should also create a noise management action plan to track progress. Don’t be afraid to ask for help – some elements, such as engineering noise control, require specialist knowledge. Many companies will provide free advice before charging. Professional bodies often have guides for their members. Remember it is an ongoing process – review and update where there are changes. Bob Beaman is Xodus’ Principal Acoustic Consultant with over 22 years providing guidance on noise management. He began his career in the military, where he worked for the centre of aviation medicine, monitoring and advising on noise and vibration (occupational and environmental). Subsequently he has focused largely on oil and gas (on and offshore). Bob has an honours degree in Physics and a Masters’ in Acoustics and Noise control. He is also an experienced trainer, providing competency training courses in both noise and vibration management. Bob is the current chief examiner for the Institute of Acoustics’ Certificate of Competence in Workplace Noise Risk Assessment. Supporting authors Simon Ient is Xodus’ Global Environment Manager and is a specialist noise and vibration consultant with a wide range of international experience. He will be leading Xodus’ contribution to the HSME August 2017 issue, where he will describe workplace noise analysis, the benefits to operators, means of selecting the most beneficial study for the operator and regulatory compliance. Adrian Gannon is the Xodus Middle East HSE Manager, he has an MSc in HSE Management and is the focal point for all HSE related work scopes in the Middle East region. He plays a key role in identifying Middle East client requirements and building multi-disciplinary teams with a proven record of delivering to client expectations. Xodus has vast Middle East experience of successfully executing complex HSE projects in the oil and gas sector. About Xodus Xodus provides engineering and advisory services to clients in the oil and gas, LNG, renewables and utilities industries worldwide. Its clever and innovative thinking helps clients to overcome challenges and maximise their return on investment. We deliver successful projects by bringing together experts in engineering, design, environment, safety, risk, integrity, vibration, project management, training, and strategic and commercial advice to work in highly integrated teams, following a clear project execution model. Backed up by specialist tools and training, our capabilities span the numerous disciplines involved in delivering complex projects. Clients benefit from our expertise that is independent and informed by our learning from working on projects around the world.